Gorgeous cream white, occasionally flushed with pink. 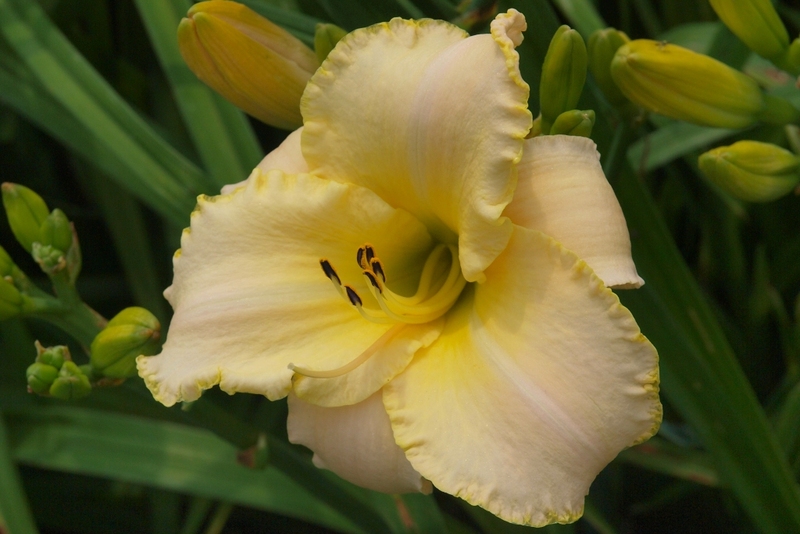 Gold edge and green throat make WB a real showpiece daylily. Mature clumps with multiple blooms definitely cause visitors to catch their breath. Recipient of the Stout Silver Medal for 1996.